After carefully labelling everything. I began to disassemble loose joints. All but seven of the twenty-two joints came apart. 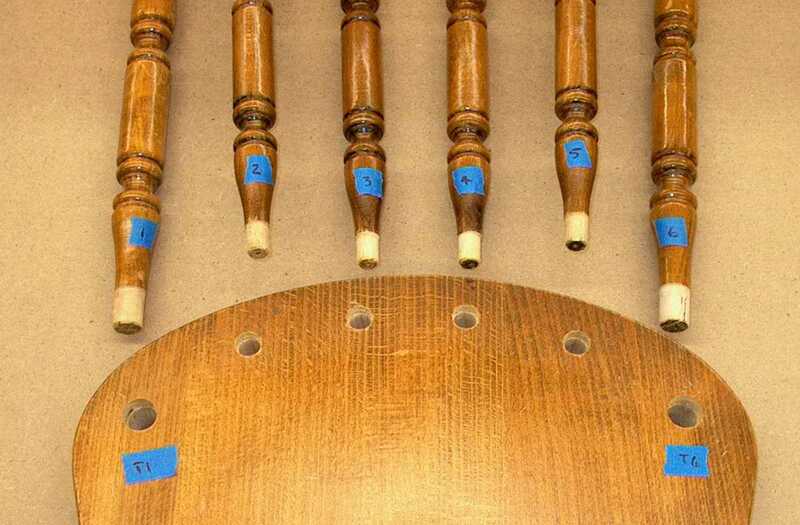 The above picture shows the drilled holes, called mortises, in the top of the chair seat and the light colored tenons at the bottoms of the chair back spindles. Examining these and the disassembled joints below the chair seat, it became obvious that the joints were “glued” by squirting glue into the bottoms of the mortises and then inserting the tenons. 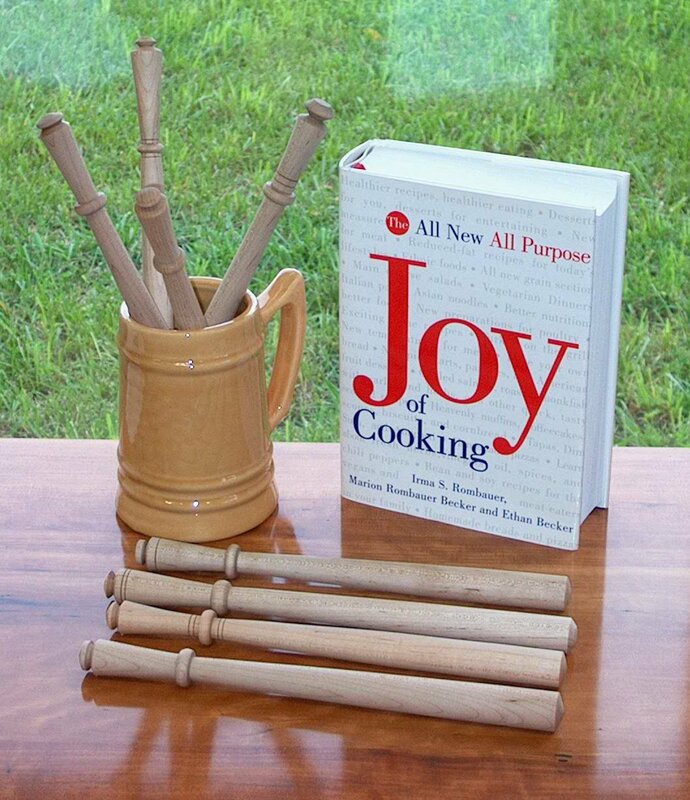 The rationale may have been that glue would be forced up around the sides of the mortises and tenons, but that happened only a few of the fifteen disassembled joints, and even there only on a portion of the surface area of those joints. 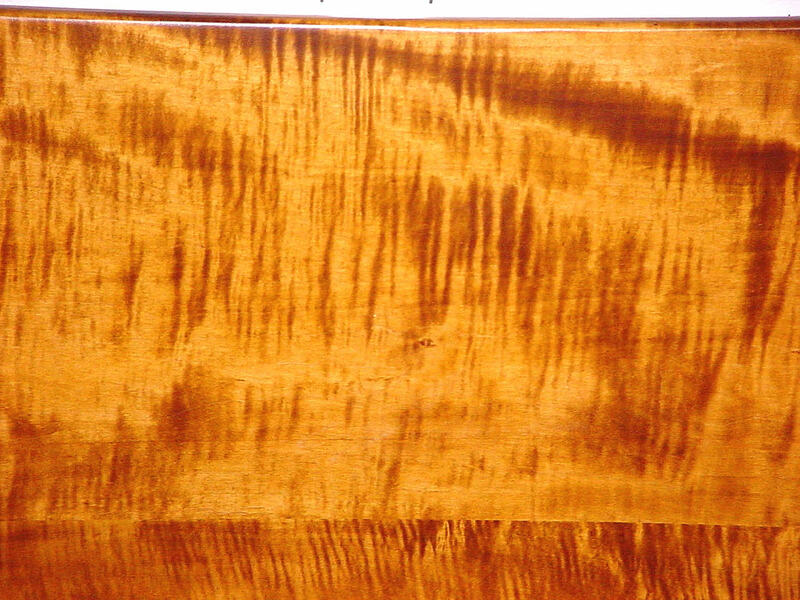 It is widely recognized that glue does not bond well to end grain. For the majority of the disassembled joints in this chair, the only glue contact with the tenons was on their ends, which of course is end grain. 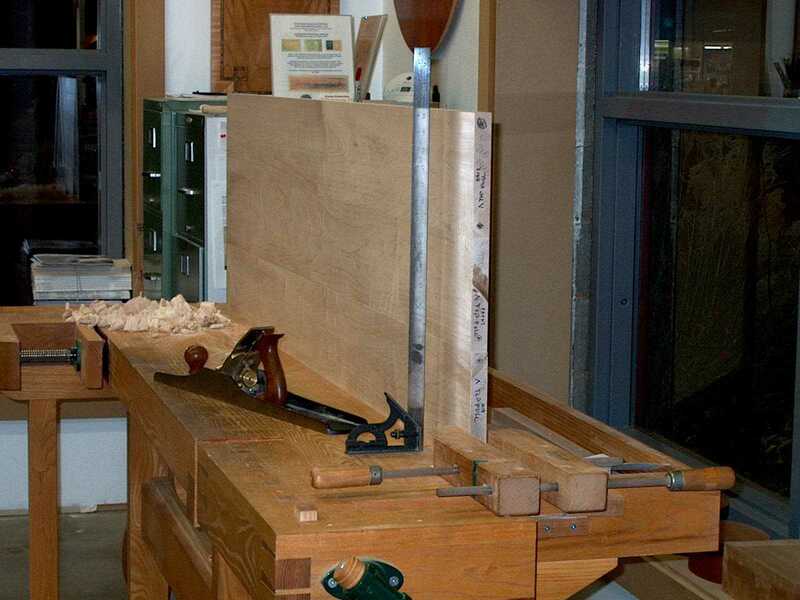 Finally, the excess space at the bottom of a mortise is designed to provide space for any glue forced to the bottom when the tenon is inserted, and should not be filled with glue. In the procedure used on this chair (and others I have seen) all of the glue is first squirted into the bottom of the mortise. When the tenon is inserted this filled well creates hydraulic pressure resisting full insertion of the tenon, and perhaps permanently holding the tenon slightly proud. 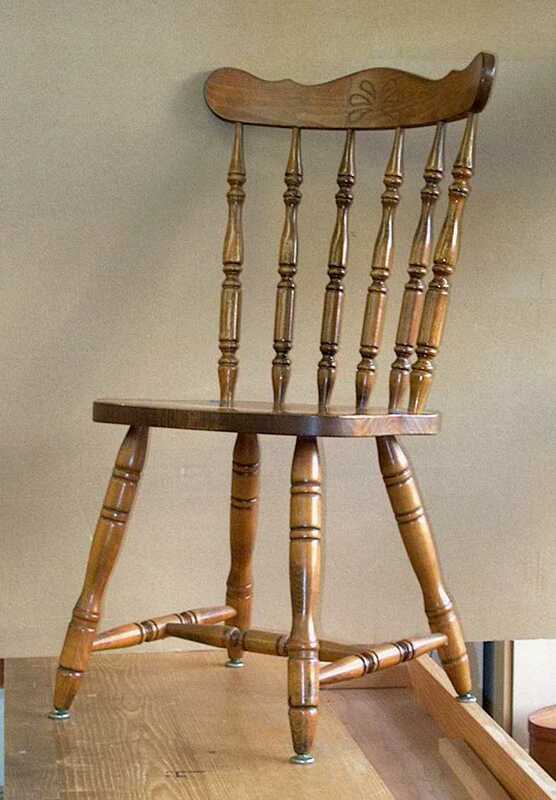 Although the parts of mother’s chair were machined well and attractively finished, failure of the joinery was guaranteed due to the poor glue application. Gently used, and with finish contributing some additional slight joint strength, such chairs might last a year or two, but the joints will fail. Effective chair repair requires proper adhesive, tools and experience. Simply squeezing some more glue around an exposed joint and pushing it home won’t make a lasting repair, and will make effective repair more difficult and expensive. If you have a wobbly chair you want repaired, perform diligent research by soliciting referrals from friends, interviewing repair businesses, and getting estimates. Expect to pay at least $100 for re-gluing the most basic chairs, more for chairs such as this one with extra joints. If the chair has upholstery attached to the chair itself (rather than a seat insert) the upholstery will have to be replaced after re-gluing. Factory-made chairs can be unbelievable bargains in the store, but re-gluing or replacement should be part of the purchase calculation. For any set of new chairs, one might want to plan for replacement or re-gluing of at least one chair every year. If subjected to stronger use, the time period should be six months. Effectively re-glued and not abused, the chair should provide many years of service. Please let me know of other topics you would like to see covered in future posts. 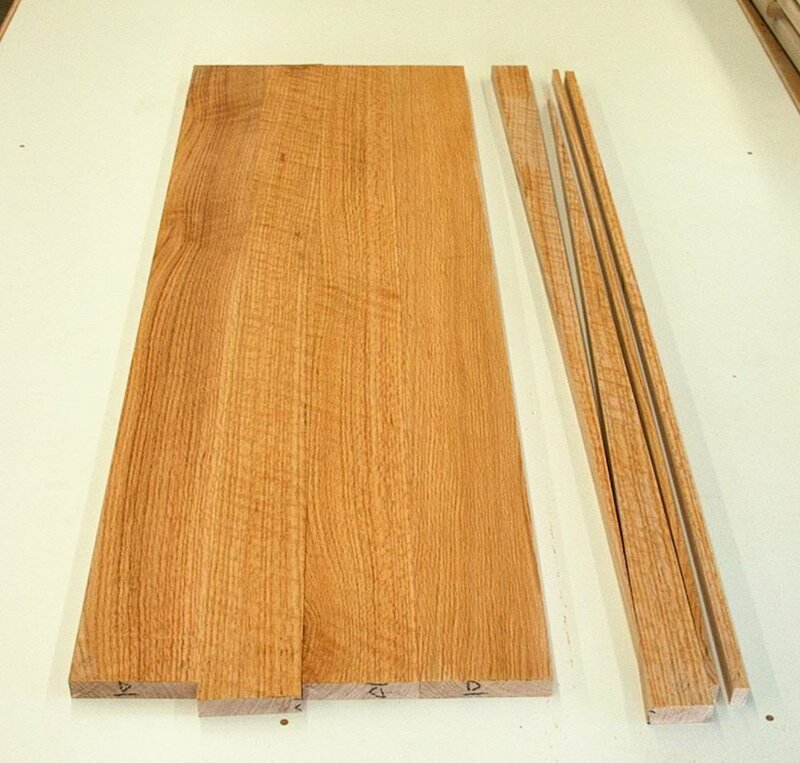 Single boards are almost never wide enough for even relatively narrow applications such as door panels, nightstand sides or headboards. Thick glue lines are usually areas of weakness because most glues lack internal strength. 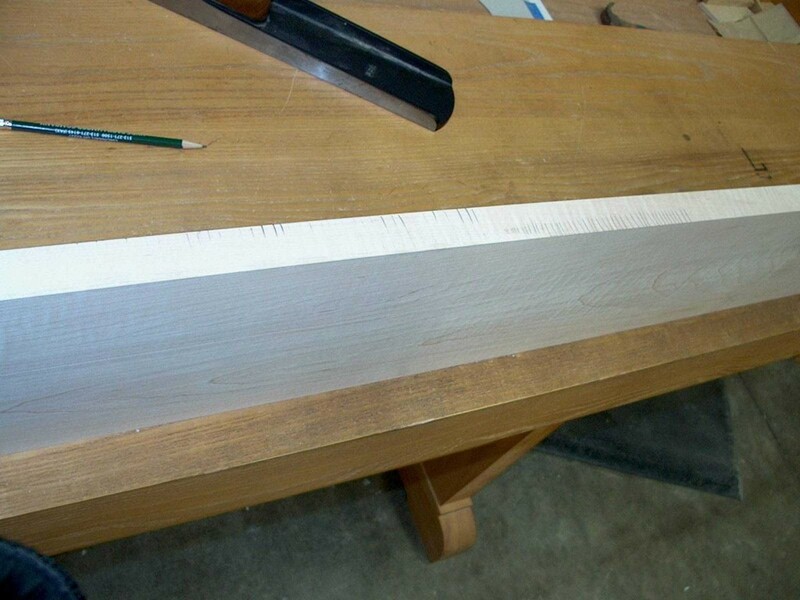 Thick glue joints also form noticeable straight lines that detract visually from the appearance of furniture. 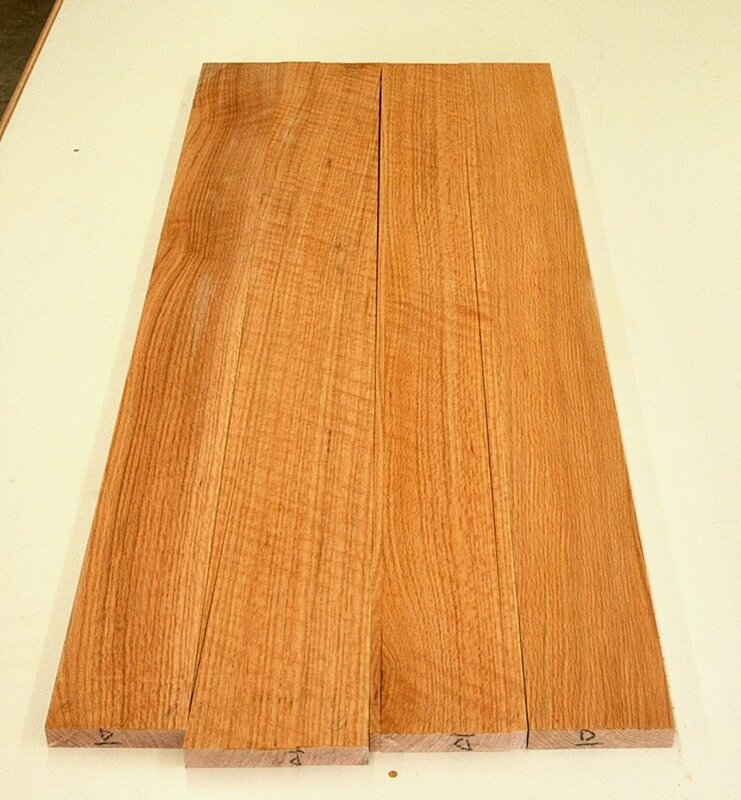 The board edges left by machine jointers are pretty good, and are used without improvement in factory production. Slight changes in pressure and speed as the board is feed through the jointer causes dips in the edge, as will bits of sawdust thrown onto the jointer table by the machine. 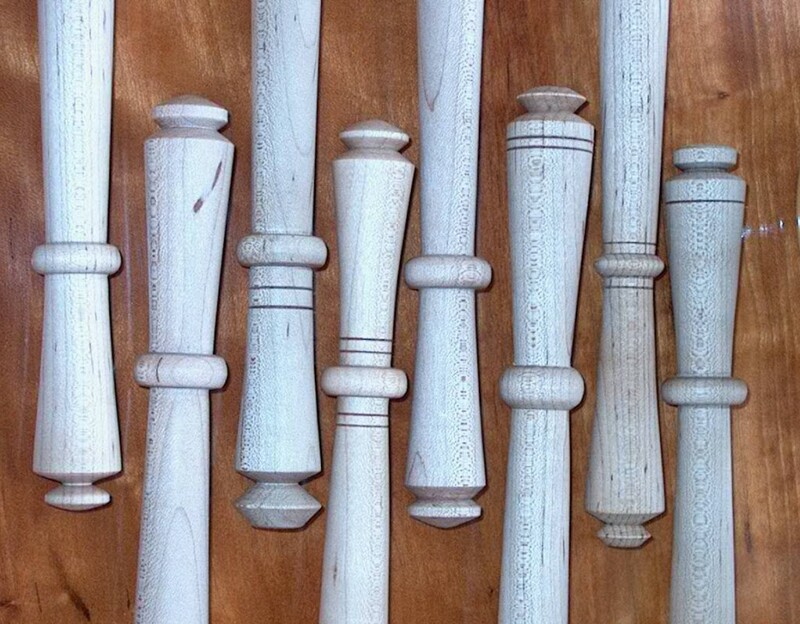 These dips result in areas of thicker glue lines. Woodworking craftsmen of earlier times always dressed the machine-produced edge with a long hand plane to further refine it. Even with today’s improved machine jointers, my experience is that several passes with a jointer hand plane are always needed before a full length shaving is obtained. After hand plane jointing, I always check that the edges are still perpendicular to the board faces. 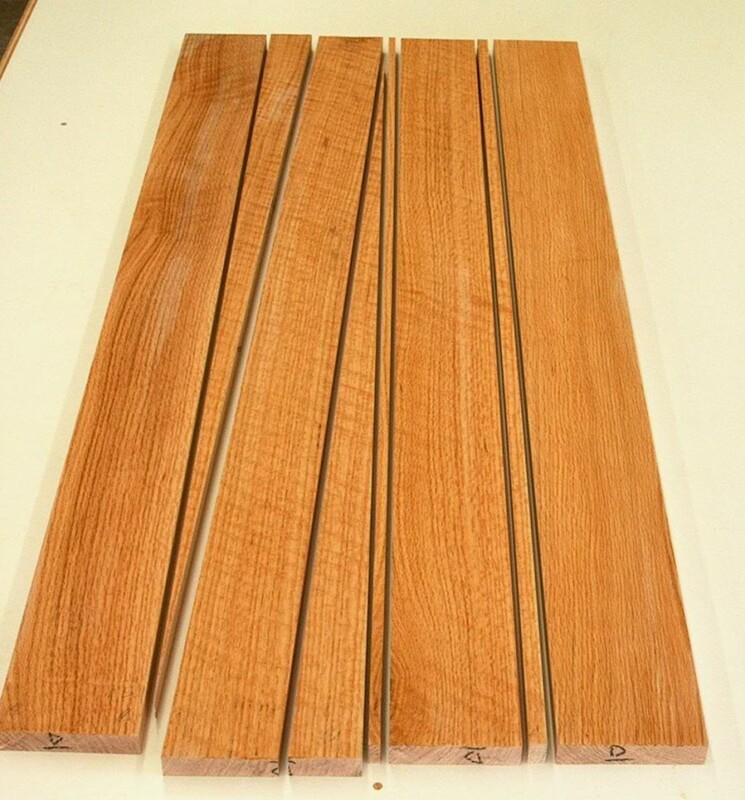 Sometimes I’ve found that hand planing introduced a slight change from a 90 degree angle, too slight to see with a T square but noticeable when the boards are dry stacked as in the above picture. 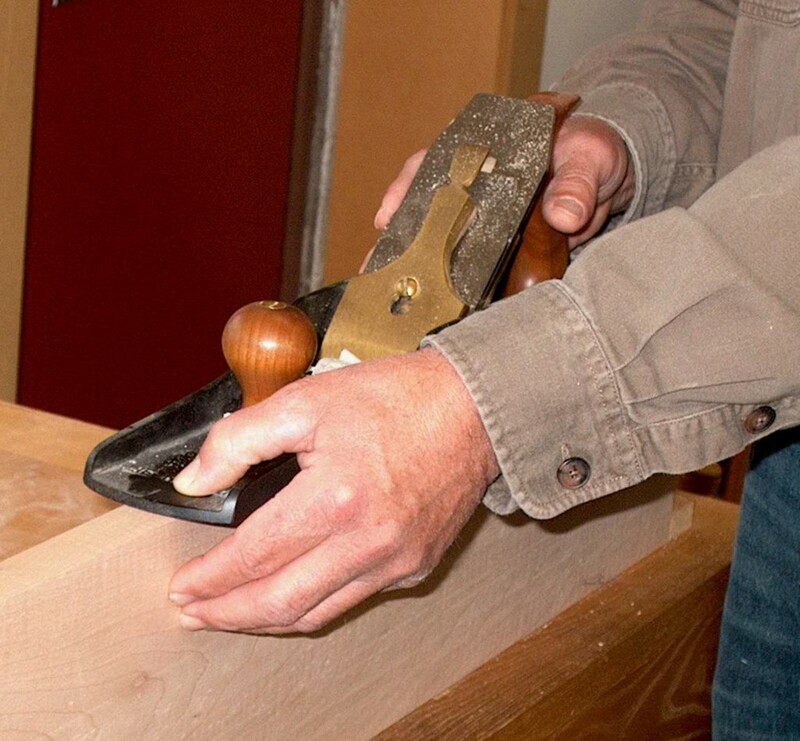 A call to Lie Nielsen, the hand plane manufacturer, suggested I pay attention to the position and pressure applied by my thumb at the toe of the jointer plane. In this picture, my thumb is over the left corner of the edge. The shaving will be slightly thicker under my thumb..
Pencil lines were drawn across the edge before a shaving was taken, moving the plane from right to left.. In about the middle of the picture, I moved my thumb from the right side of the plane’s toe to the left side. While faint, pencil lines remain along the left corner of right half of the board, and along the right corner of the left half of the board, showing how the shaving was effected by nothing more than moving my thumb. While this may sound like much ado about nothing, when done properly refining the edge with a jointer plane takes only a minute. 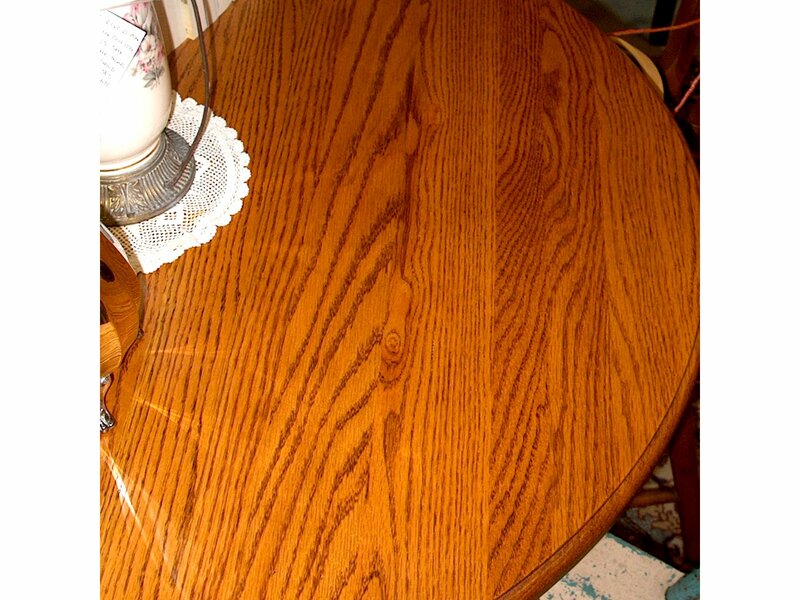 Eliminating a glue line may contribute to a piece of furniture becoming a family treasure that is kept for decades. And working to one’s best is a never ending quest to better understand and practice essential skills. 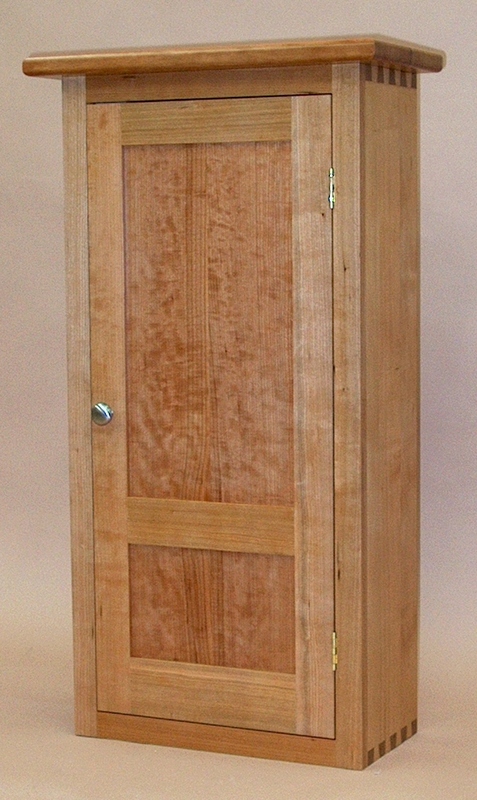 (Part 2 of 3) As a wood lover, I would hope all furniture to be kept and enjoyed for years if not decades. All too often, furniture is replaced before the end of its useful life. A visit to a local resale/antique store found some pieces of furniture with perhaps less than ideal board matches. 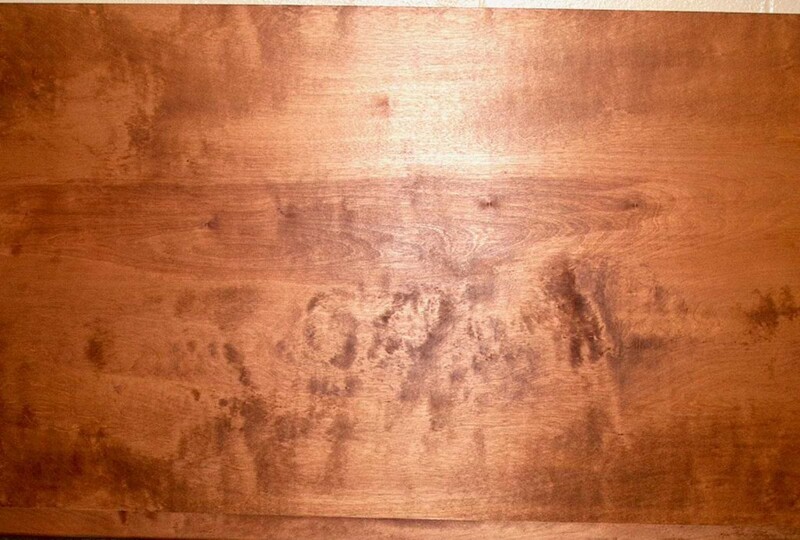 This table, which showed almost no signs of use, had a strip of sapwood along the edge of just one of the boards in the top. 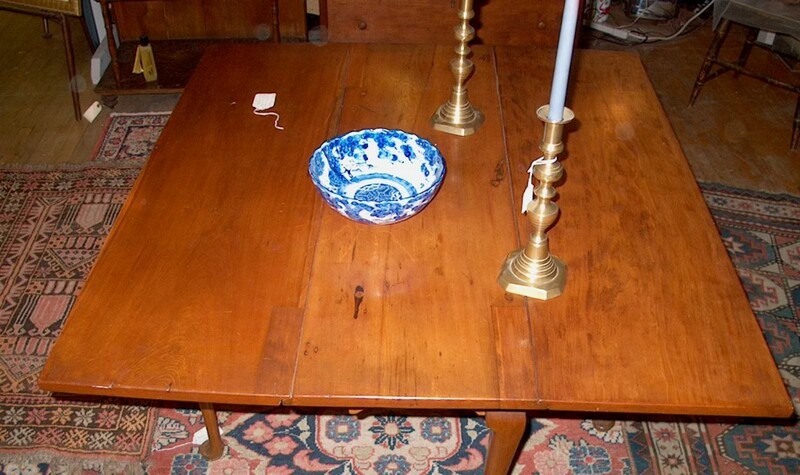 This older table has a full length strip of sapwood and a short one along the edges of one of the boards. 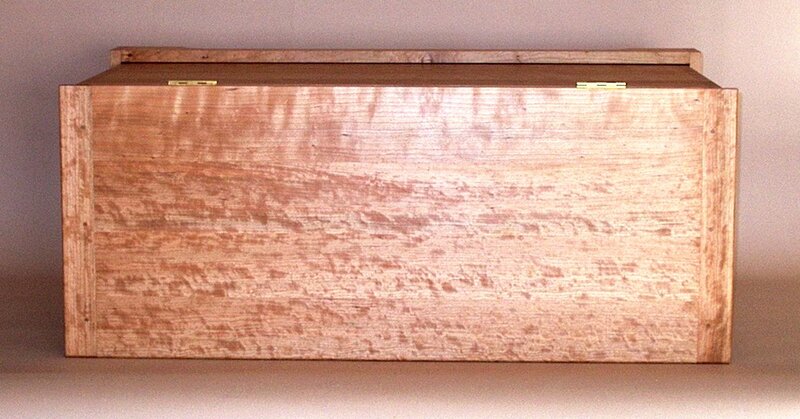 The sapwood is not used artistically, and is simply distracting. This table has a very disorienting collection of brain patterns and directions. 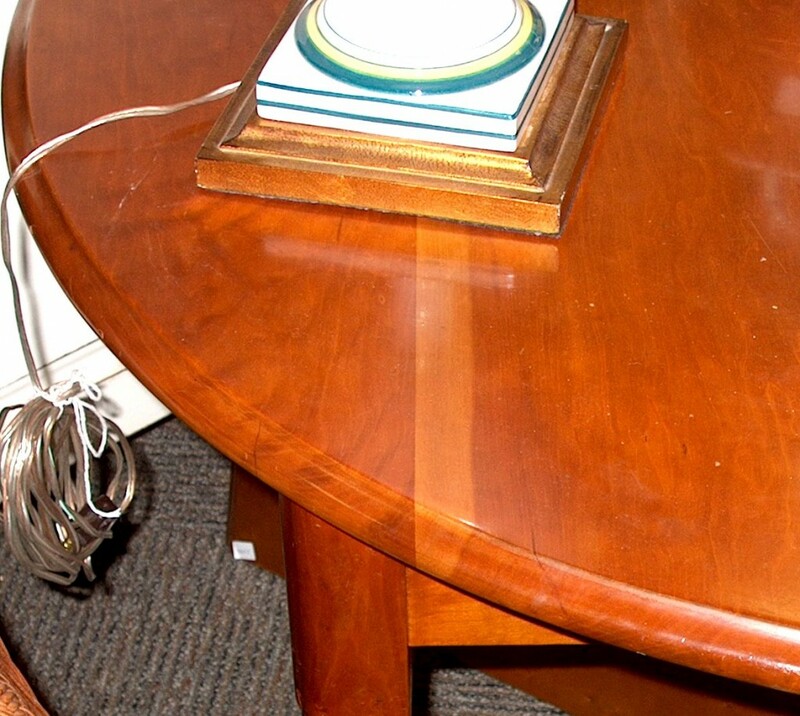 It is not surprising the table shows no wear. 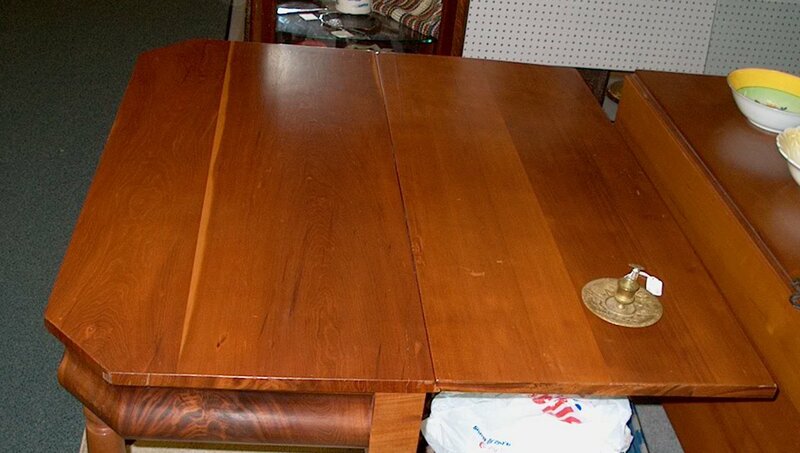 Finally, here’s an older table with three very different boards. The left one is very uniform, the middle one shows some character, and the right one has wonderful figure. None of the three match any of the others, which it is suggested makes the table less pleasing in time. 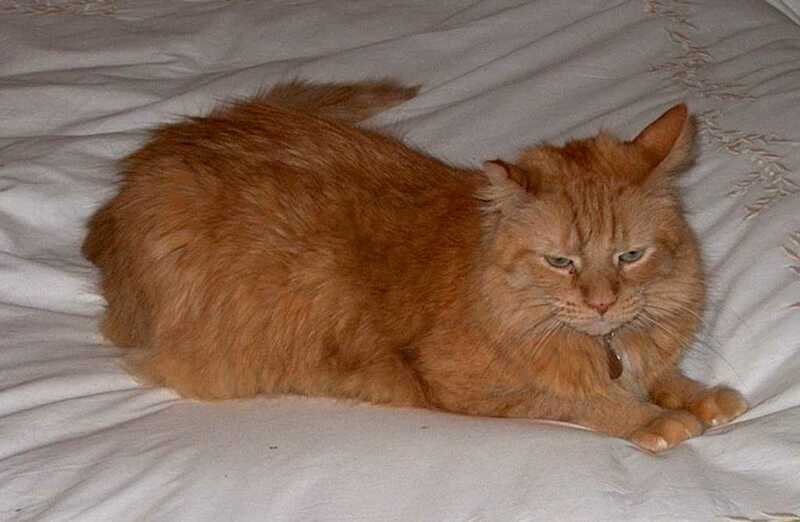 People develop levels of attachment to items they own, including furniture. These attachments can have visual, emotional, functional, and financial components. The stronger the attachments, the more satisfying is ownership. Good board matching assists strong visual attachment, while repeated viewing of poor board matches may foster disappointment, frustration, and early replacement, decreasing economic value to the owner. Good matches seldom happen by accident. But only a few minutes are needed to evaluate alternative orientations and select the best. 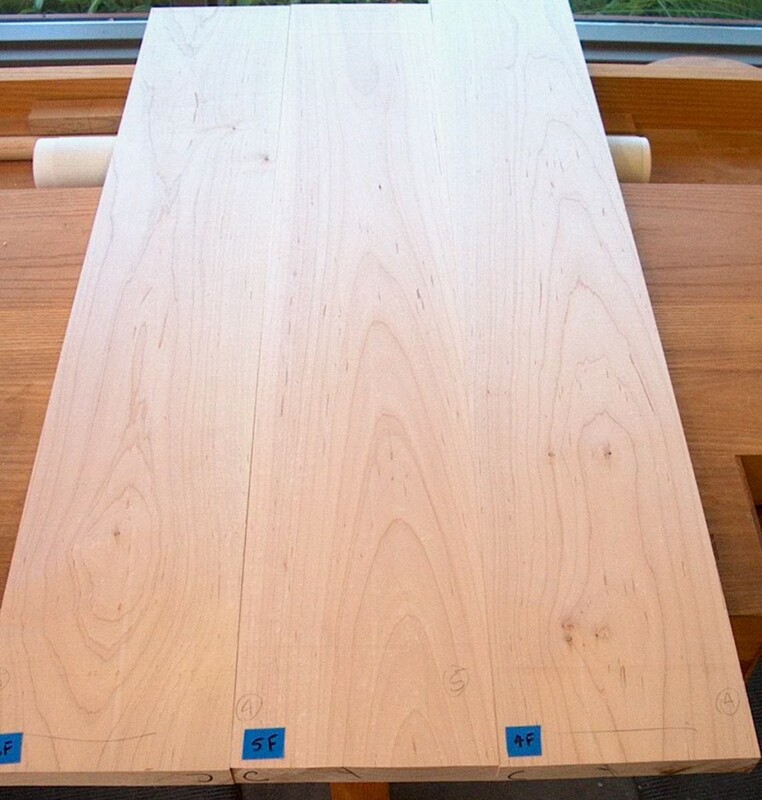 These three all white hard maple boards were selected for the bottom of a sideboard. In this orientation, rejected, the oval-and-arch patterns in the outer boards are too close to what will be the edges of the glued assembly. 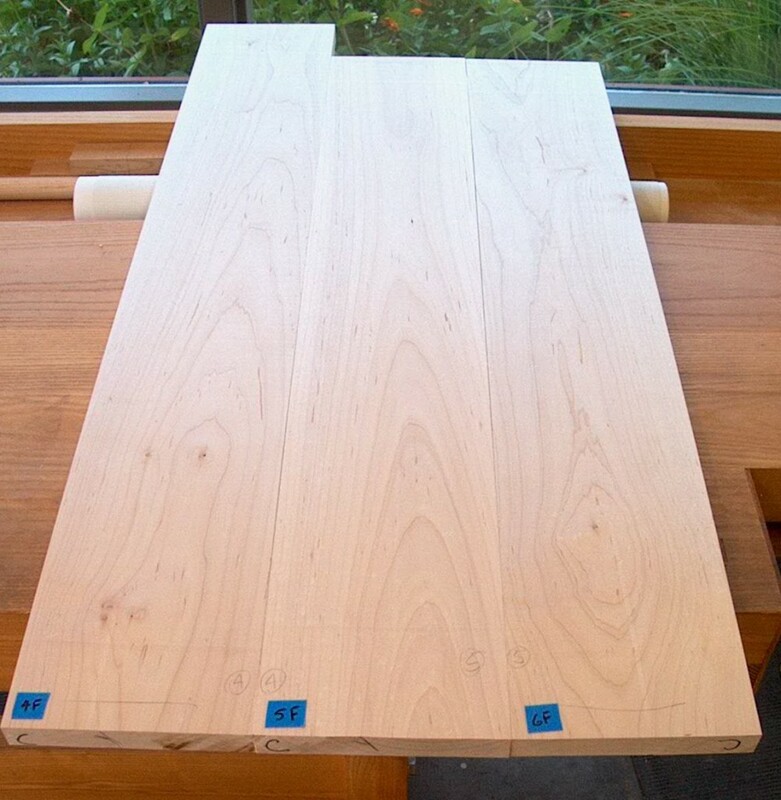 By simply swapping the first and third boards, a much more balanced appearance results.